This release comes with a very sought after integration, ZOO by YooTheme, and a great utility, the Menu Manager Integration for those who need to assign Structured Data to a specific menu item! 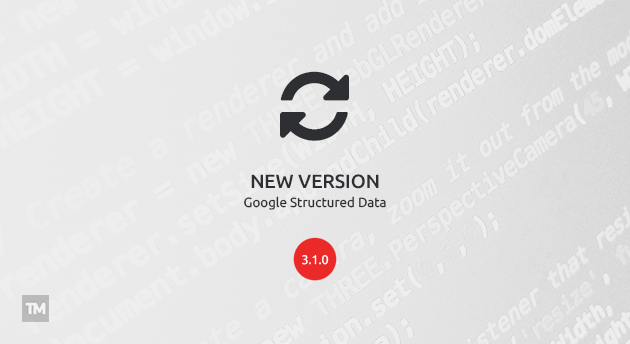 The most wanted integration for Google Structured Data is finally here! Users of ZOO - YooTheme rejoice! 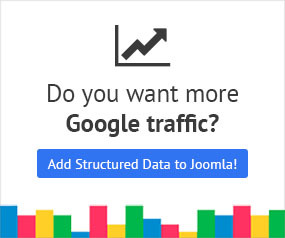 You'll finally be able to assign Structured Data to your content made from ZOO and get those rich search results as a reward. In GSD's documentation you will already find the ZOO - Yootheme Integration guide . The Menu Manager Integration is purely a utility integration for GSD because it gives you the freedom to assign Structured Data to any Menu Item, apart from External URLs and Aliases of course. This functionality is great because it is a bridge for those who use components which aren't yet integrated to GSD but they can, instead, create menu items for those! Feel free to head on to GSD's documentation and read the Menu Manager Integration guide. Many of you wanted to report a different author for your content items on Structured Data and now you can! However, keep in mind that your Structured Data must still reflect your actual content! Fixes bug with the JShopping Integration not generating structured data on products associated with a menu item. Fixes minor CSS issue with the FastEdit option on unsaved items. Google Structured Data's translation is open for contribution by anyone who is willing to give a hand with his native language on Transifex. Are you happy with GSD? I would appreciate it a great deal if you showed your fondness for GSD by writing a review on the Joomla Extension Directory. You would help both me and the extension's progress by quite a bit!